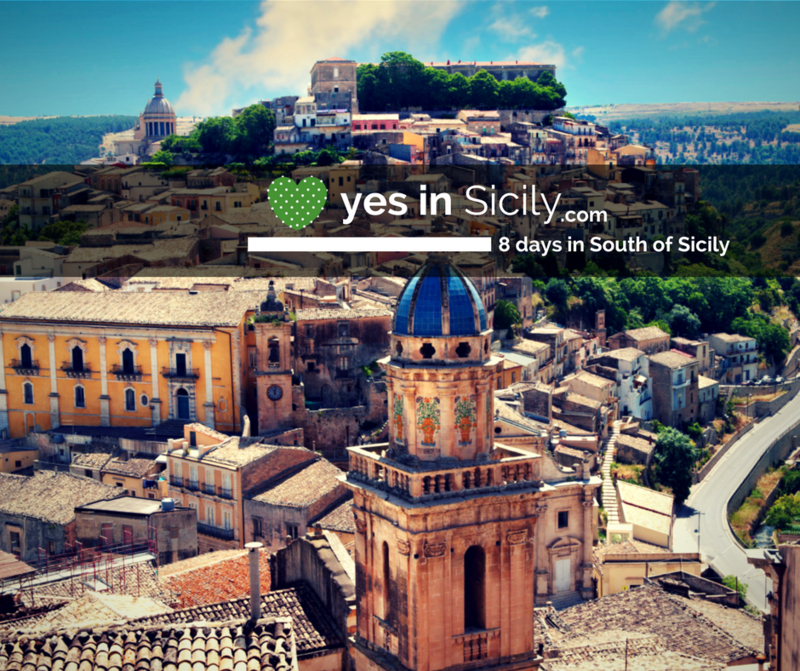 Have 8 days for your vacation in Sicily? 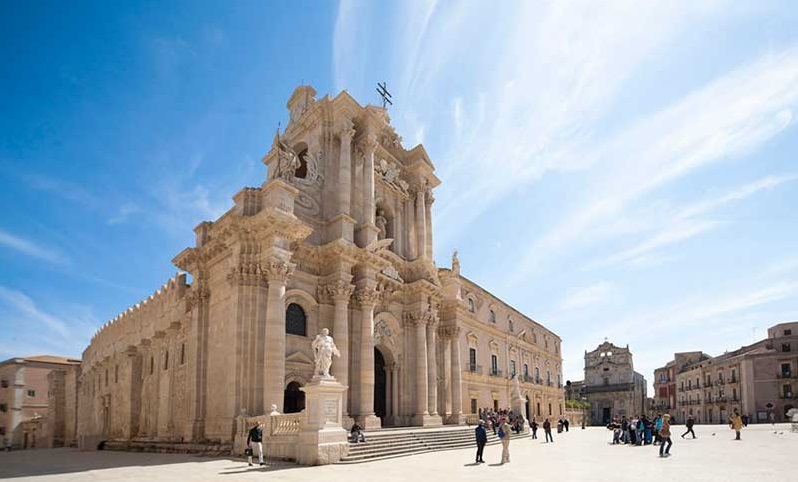 We know the best way to visit Sicily and will suggest where to stay. 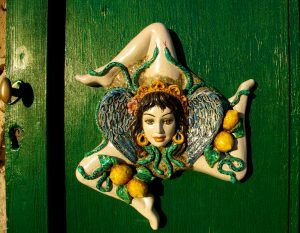 Sicily is Magical! Every part of this island is characterized by ancient traditions and relics from the past that make it so unique. The magic of the sea, the history of the cities and the influences of Arab, Spanish, Greek and Roman cultures will envelope you in that magical atmosphere, rarely seen in todays world. 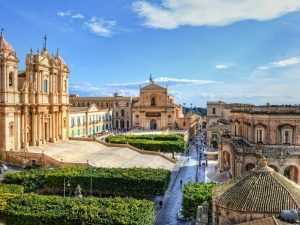 Southern Sicily is a delightfully verdant island facing the Mediterranean Sea, which is characterized by its varied landscape, beautiful scenery and multiethnic inhabitants. 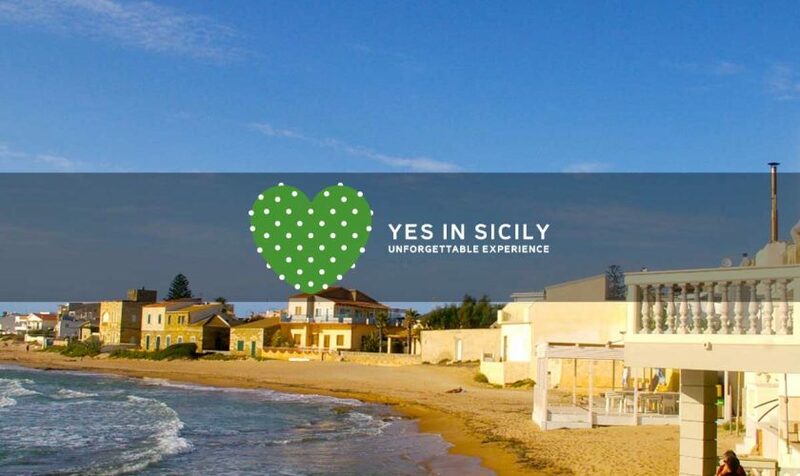 You’ll experience Sicily, the extraordinary history & landscape, the wine, olive oil, seafood and other typical Sicilian food, The gods are still smiling for having found Sicily! Upon arrival at Catania’s airport, an expert local assistant will meet you at the arrival gate and accompany you to your bus that will take you at Poggio del Sole Hotel and Resort in Ragusa. After check in with time to freshen up, the group will have a specially arranged traditional dinner in the hotel restaurant. 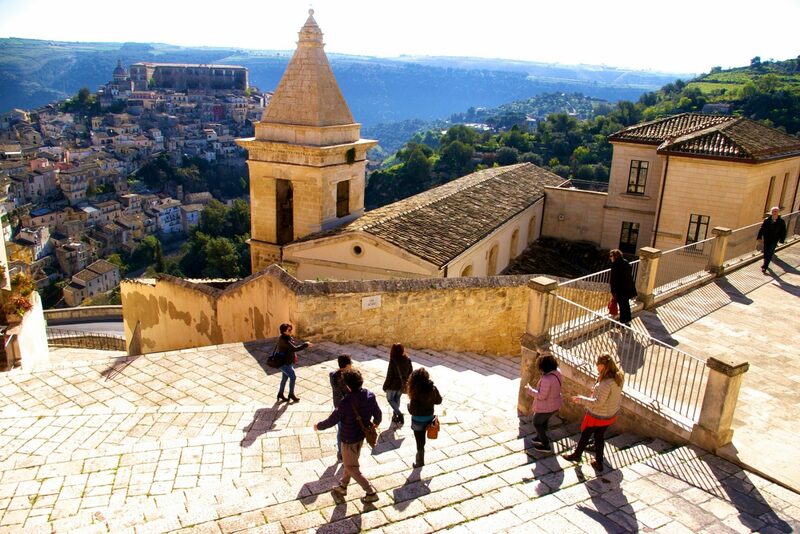 After a sumptuous breakfast, your group will travel by bus to Modica. Known as the “city of one hundred churches”. It is a small town to be discovered; among its alleys, staircases and hidden corners. Saint Giorgio Cathedral, Saint Pietro Church and Saint Nicolò Inferiore are particularly interesting. But there is an element that, more than others, it is remembered for: the chocolate. It will be inevitable to be charmed by the excellence of Modican chocolate. Born and created following ancient tradition that, still today, is handed down to future generations. 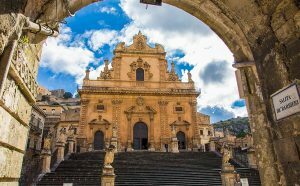 You will have free time for lunch and in the afternoon your group will travel to Scicli, famous as one of the places used as a set of tv series “Il commisario Montalbano” hides a surreal atmosphere, almost bohemian, among its streets that mix the Baroque, with beautiful little shops and little art galleries. The focus of the city is Mormino Penna Street along which you can admire the Spadaro Palace and the City Hall, and also Saint Giovanni, Saint Teresa and Saint Michele Churches. 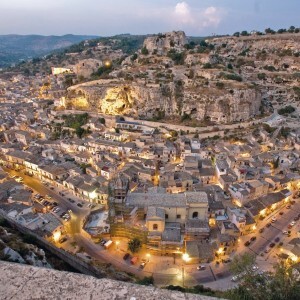 In the evening return to Ragusa Ibla to have dinner in a typical restourant. After breakfast, your group will travel by bus to Noto. 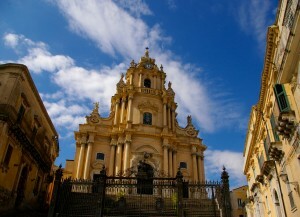 Free time to spend around the most famous small baroque town of south-east Sicily. Than you can continue your trip to Siracuse. There a local guide will take you to discover this beautiful town where the Roman, Greek and Baroque soul still live in the architecture. You will visit the archeological site of the town whit inside Greek theatre, the Ropemakers’Cave, the Altar of Heron and the Roman amphitheatre. After lunch in Ortigia restourant you will visit the beautiful center of Ortigia and the typical small alley full of shops and Sicilian flavors. In the evening return at hotel dinner on your own. 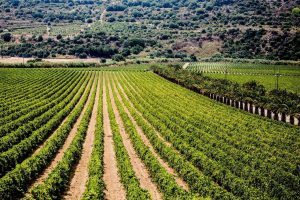 After an delicius breakfast at hotel, your group will travel by bus to Valle dell’Acate winery.The untouched nature, the rows of grapes that color the countryside, the reflections of the sun on earth recreate a natural paradise. The impressive stone architecture of the winery evokes the ancient peasant world, reviving, in a bucolic atmosphere where time seems to have stopped, the way it once to make wine. Here the local guide and sommelier Giovanni will take you in a fantastic wine experience.You will taste a typical Cerasuolo DocG with typical Sicilian appetizer. In the Afternoon free time to relax at the hotel before to have a dinner. 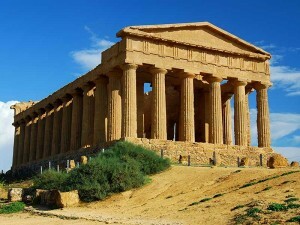 After an delicious breakfast at hotel, your group will travel by bus to Agrigento. 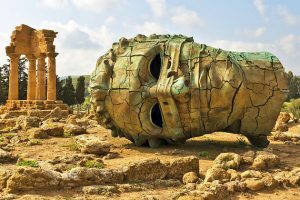 Here a local guide will take you in the ancient greek world, “Valle dei Templi” (the Temples Valley) rises as testimony of “the most beautiful of mortal cities” in which it is possible to find, even now, the indelible marks of a population that formed the history and the character of this isle, the Greeks. Traveling the route along the golden rocks ruins, under the warm Sicilian sun, will bring you to the ancient glories of a big city, while the religious silence that surrounds the impressive “Tempio della Concordia” will invite you to be caressed by the sea breeze that, everyday, pays tribute to the greatness of the site. A natural beauty in Agrigento area is the Scala dei Turchi, near Realmonte, a strange phenomenon created by water erosion leaves an expanse of carved rock making it appear as if its covered by snow, it truly is a masterpiece of nature, stretching out towards the calm waters of its golden beaches and softly dipping sea beds a few free time at old town of Agrigento return at hotel to have a dinner. 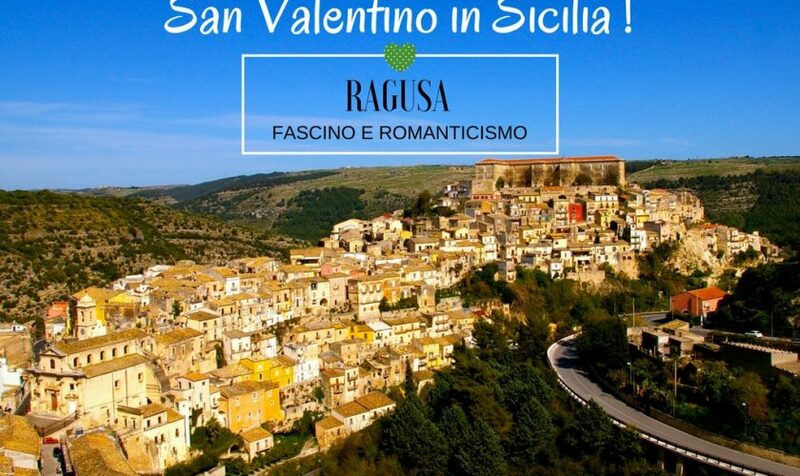 After an delicious breakfast at hotel, take your time and relax yourself for example in the charming spa at hotel, after a short lunch in the afternoon you will visit a beautiful old and baroque town of Ragusa Ibla in the heart of Iblean Valley. A local guide take you to discover beautiful noble buildings and a theatre. 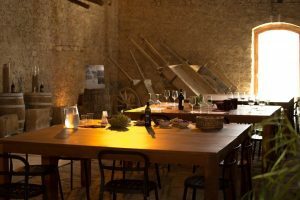 In the evening you will take to do a cooking lesson of typical food with a professional chef in a Old Convent Ibla, a very fascinating place. 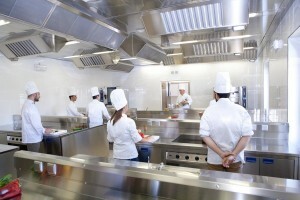 After the lesson you will have a dinner with your handmade food and the delicious dishes made by chef. DAY 7: CALTAGIRONEAfter a breakfast at hotel,your group will travel by bus to Caltagirone. This charming city,is known around the world for the ceramic handicraft production, jobs that are still dedicated many artisans. Through the centuries, this very ancient art, whose origins date back to the period of Arab rule, it is always perfected more, keeping practically unchanged the typical decorative motifs and the typical colors of Caltagirone ceramics. 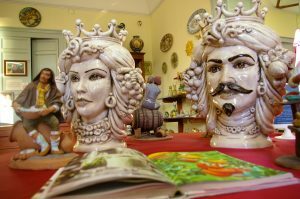 Ceramics in Caltagirone is an element found everywhere, in the palaces, churches, monuments, gardens and squares. Unique in the world is the beautiful Scala Santa Maria del Monte,with 142 steps completely covered with painted ceramic tiles. You will visit also the Regional Museum of Ceramic discover the origins of the Craft pottery and walk in the beautiful art nouveau garden of the Villa Comunale, designed by Giovanni Battista Basile. In the evening return at hotel to have a dinner. After breakfast and check out your group will travel by private bus to Catania Airport where it will boards its return flight to the USA or stay a little longer! Just tell your travel agent. We know the best hotel where to stay to join perfectly this tour. Se sei un vero amante della serie tv “Il Commissario Montalbano” parti dai sui set cinematografici per scoprire la Sicilia.